Headquartered in Stuttgart, Germany, Daimler is one of the world’s most successful car manufacturer and an innovation leader in the field of advanced driver assistance systems and automated driving. The company is focusing on innovative and green technologies as well as safe and superior automobiles like Mercedes-Benz cars. In 2010, Daimler decided to focus on its core competence—building innovative vehicles—instead of pursuing software development. That meant finding the best software partner to build a strategic alliance. Daimler sought the best expertise in software development and a company that could help from the first concept and throughout the cars’ entire life cycle. Daimler was looking for a partner to take over functions and implementation models, software implementation, module testing, and integration testing. Interfaces had to be described and a common language defined in a very short time to maintain functionality, time lines, and quality. The biggest challenge would be to smoothly integrate the new development partner into Daimler’s ongoing development processes. EB implemented a constant process and continuous optimizations, e. g., “continuous integration”. EB provided innovation and variant handling (including complexity management) by using the Software Factory, a concept for automated software engineering that ensures efficiency in terms of time, costs, and quality. More than 650 version releases with 200 series approvals were delivered on schedule between 2010 and 2017. Daimler and EB benefited from the win-win situation of ISO 26262 (Functional Safety). Experts from both companies have worked very closely since 2010, allowing the topic of ISO 26262 to be considered and implemented naturally in the development process. Thanks to this valuable partnership, Daimler was able to concentrate on driver assistance algorithm development and self-driving vehicles. By progressively taking over more tasks and responsibilities, Elektrobit supported Daimler’s goal of focusing on their core competence: building innovative cars. 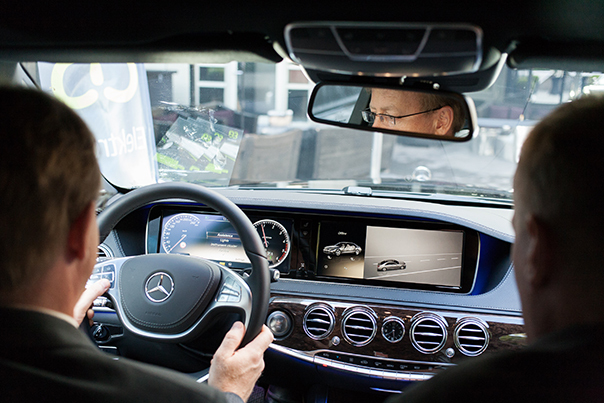 At present, driver assistance software developed with the support of EB is integrated into the entire Daimler fleet—from smart to C-Class and S-Class.